Garden International School Kuala Lumpur provides one of the most comprehensive international British curriculum programmes in Asia. GIS is renowned for its academic excellence, being the largest private co-educational international school in Malaysia with over 2,200 students. Take a look at GIS' report of Academic Excellence here. GIS is consistently ranked among the top international schools in Asia adhering to the international curriculum of England and Wales. The school bases its syllabus on the national British curriculum tailored to fit the global expectations of the international community. 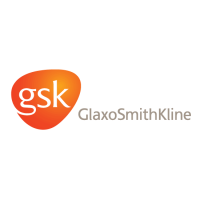 GlaxoSmithKline - one of the world's leading research-based pharmaceutical and healthcare companies - is committed to improving the quality of human life by enabling people to do more, feel better and live longer. Its broad product portfolio spans pharmaceutical products, vaccines, over-the-counter (OTC) medicines, oral care products and nutritional health drinks. Experience five-star luxury at Grand Hyatt Kuala Lumpur. Our Kuala Lumpur hotel is ideally located in the city centre, adjacent to the Kuala Lumpur Convention Centre and surrounded by the lush greenery of Kuala Lumpur City Centre Park. The hotel in Kuala Lumpur is also within walking distance to the Golden Triangle entertainment and shopping district with popular shopping malls and tourist attractions, including Aquaria KLCC and KL Tower. The hotel is a 60 minute drive from Kuala Lumpur International Airport (KLIA & KLIA2). Grand Hyatt Kuala Lumpur, our luxury hotel in Kuala Lumpur, features luxurious and spacious guestrooms that include 370 rooms and 42 suites. The room sizes are amongst the largest in the city, ranging from 47 square metres (505 square feet) to 340 square metres (3,659 square feet). All guestrooms have the benefit of floor-to-ceiling windows concept to best capture the magnificent, panoramic views of Kuala Lumpur city or the iconic Petronas Twin Towers. Step into Grand Millennium Kuala Lumpur located in the heart of Bukit Bintang (Golden Triangle) and only 45 minutes drive from KLIA, embracing the ultimate travel experience with luxurious rooms, fabulous restaurants, wide range of leisure facilities and the advantage of being right next to premier shopping destinations of Kuala Lumpur.